Judaism is a religion based on humanistic principles offering powerful arguments for social justice, but it has been hijacked by Zionists who have twisted it into an excuse for ethnic cleansing and mass murder, as Professor of Moral Theology Daniel C. Maguire describes. Like the Palestinian people, Judaism is also suffering from siege and occupation. Zionism, a Nineteenth Century hallucinatory piece of fictive theology and a vicious ideology, has gotten a demonic grip on much of modern Jewish consciousness and has taken possession of U.S. policies in the Middle East. Zionism is not Judaism; Judaism is 3,000 years old. Zionism is a heretical upstart based upon preposterous assumptions. In terms of theistic Judaism, Zionism teaches that God, the creator of everything in the universe from fruit flies to quasars, is also into real-estate distribution and has assigned Palestine to Jews or those who tenuously claim to be Jews … from dark-skinned Ethiopians to blue-eyed Russians. 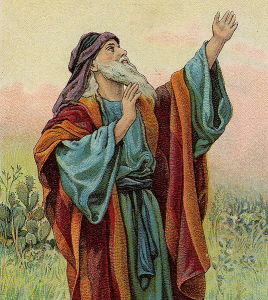 This God wants all non-Jewish Palestinians (some of whose ancestral roots in Palestine go back for millennia) to be removed or brutally occupied and periodically bombed and starved into submission. That is Zionist theocratic policy and it has been a raging success. Thanks to Zionist power and American complicit and compliant support, Jewish Israelis control 100 percent of Palestine and Syria’s Golan Heights. Non-Jewish Palestinians are either occupied or living under dehumanizing siege. One could be tempted to think that God would have preferred pre-Zionist Palestine. In the Nineteenth Century, Jews were four percent of the population, Christians, ten percent, and the rest were Muslims and all lived together in harmony and peace. In the age of suitcase-size atomic weapons and micro-biological weapons and pinpoint accurate drones, a reality-check should tell Zionists that it is past time to take paths to peace that are open to them right now. United Nations resolutions and Arab offers are on the table based on returning to the pre-1967 borders. Peace is there for the asking once Zionist stop the land-theft (euphemized as “settlements”) and comply with international law. Israel can choose peace or expansion; Zionist Israel is choosing expansion and continued ethnic cleansing. 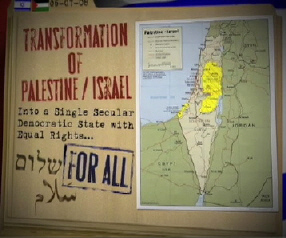 But here is the piercing point of Zionism: Zionism would not settle for the land of Palestine. It demanded that Zionism be identified with and conflated with Judaism. This perverse effort has worked well so that now any criticism of Zionist imperialism is called “antisemitic.” “Antisemitic,” of course, is a misnomer since the occupied and besieged Palestinians are Semites, too. 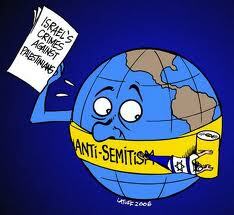 What is meant is that any criticism of Zionist policies is anti-Jewish. Wrong! Even Adolf Hitler knew that Zionism is not Judaism: he despised Judaism, but in his Mein Kampf, he had praise for Zionism. Hitler admired racist oppression wherever he found it. Indeed, Zionism’s fatal fault is that it is not Jewish. In my judgment, as a scholar in the field of religion, Judaism is the most profound, inspiring and practicable moral vision to be found in any world religion. Christianity and Islam are blessed to be among its heirs. In the years 1250 to 1050 B.C.E., the early Hebrews pressed history to turn a corner in such a wise direction that modern democratic theory owes deep debts to their achievement. The Exodus/Sinai story in novels, films and homilies suffered shrinkage. It got reduced to historical facticity, i.e., stuff that happened and got recorded by ancient scribes trying to get their facts straight. The Exodus-Sinai epic is not history; it is metaphor. As Israel Finkelstein and Neil Asher Silberman put it: “There was no mass Exodus from Egypt.” Moses may not have been a single person but a composite of many figures assembled with literary freedom over centuries. But that doesn’t mean nothing happened back there. Poetry happened. Revolutionary social experimentation happened. Forget the frogs and the parted seas engulfing the bad guys. What really happened was a social-political-economic revolution presented in epic form. As Norman Gottwald shows in his monumental study The Tribes of Yahweh, those Hebrews (from apiru meaning outlaw) challenged the monarchical paradigm of one percent rule exemplified by Egypt. These poets were saying we need not live in the Egyptian model. The Sinaitic alternative beckons. This Exodus-to-Sinai story is an epic poem in the genre of Homer’s Iliad and Odyssey and Virgil’s Aeneid, but outstripping both Homer and Virgil in power and far-reaching effects. As Walter Brueggemann says it is as insightful and relevant as if it had been written yesterday. It has perpetual contemporaneity, the mark of a true classic. And he said that millennia before sub-prime mortgages and derivatives were cooked up like a witch’s brew. The exodus was a moral exodus from the one-percent rule in Egypt with all power moving to the top — to the Sinai model where “there shall be no poor among you” (Deut. 15:4). Jan Dus says that what is contained in Exodus chapters 1 to 24 is the first ideologically-based socio-political revolution in the history of the world. The Judaism of Sinai and the prophets deserve two Nobel prizes, one in Peace and one in Economics. That is the stirring moral core of Judaism, the polar opposite of Zionism. It is this that should swell Jewish hearts with pride, not Zionism. The poets of Israel warned that doom awaits societies that “grind the faces of the poor.” (Isa. 3:15) Security comes from planting a poverty-banishing justice (Isa. 32:17) not from kill-power. You cannot build “Zion in bloodshed.” (Micah 3:10) That’s a message the Zionists will not abide. “Neither by force of arms nor by brute strength” will the people be saved. (Zech. 4:6) The “song of the military” will be silenced (Isa. 25:5, 2) Prophetic Judaism scorns an over-reliance on violence. With the over-used sword beaten into a plowshares the earth could turn green with hope and not red with the mayhem we call war. (Isa.22:4; Mic. 4:24) That’s the dream that the poets of Israel dreamed and bequeathed to all humankind. Israel and the United States both started out with ethnic cleansing. Is the superpower United States going to repent and hand the country over to the Native Americans? Is Israel the fourth strongest military power and the sixth strongest nuclear power about to dissolve itself? The answer is No to both those naive questions. What Israel can do is accept the peace offered to it by its Arab neighbors and prescribed by the United Nations. In March 2002, 22 members of the Arab League offered to recognize Israel’s right to exist and have normal relations with Israel, no small concession that. This offer has been repeatedly reconfirmed. In April 2002, the Organization of the Islamic Conference, which includes 57 nations, concurred with the Arab League offer, and the Iranian delegation expressed its full approval. The condition was Israel’s compliance with the United Nations Resolutions 194, 242, 338 and the return to the pre-1967 borders. Hamas has said it will acknowledge Israel’s right to live in peace within its pre-1967 borders. Israel can have peace or continued ethnic cleansing. It is currently choosing continued ethnic cleansing. A morally Jewish Israel, embodied in growing groups like Jewish Voice for Peace, would make peace and in so doing transform the roiled politics of the entire Middle East. No one expects Zionist Israel to do that. Hence the growing BDS (boycott, divestment, sanction) movement. The reigning assumption today is that it is pressure, not conscience, that will move Zionist Israel to choose peace.